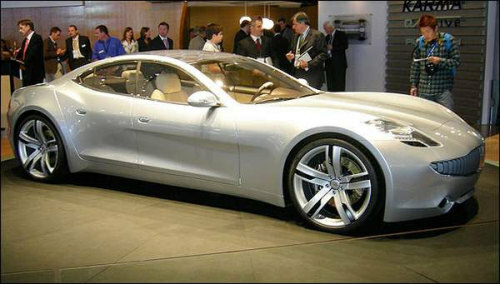 The Fisker Karma will give you a range of 50 miles without using gasoline with the lithium ion battery fully charged. After that, the gasoline engine will kick in to recharge the battery and run like any other electric hybrid. This sporty car goes from 0-60 MPH in 5.8 seconds, and has a top speed of 125 MPH. 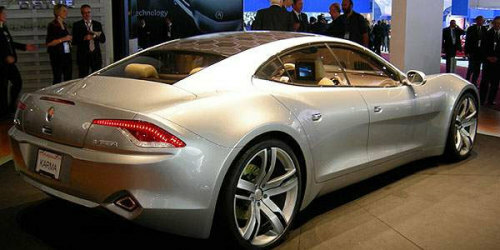 The car will be in production on the 4th quarter of 2009 with an estimated price of USD $80,000. And yes I want one!! !